Paper flowers are a great way to add a unique element to your wedding. You can make decorations, bouquets and beautiful decorative accents. 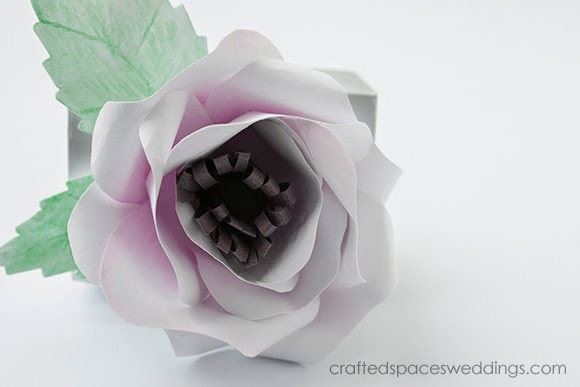 There are so many types of paper to choose from and you can replicate flowers or create your own whimsical creations. 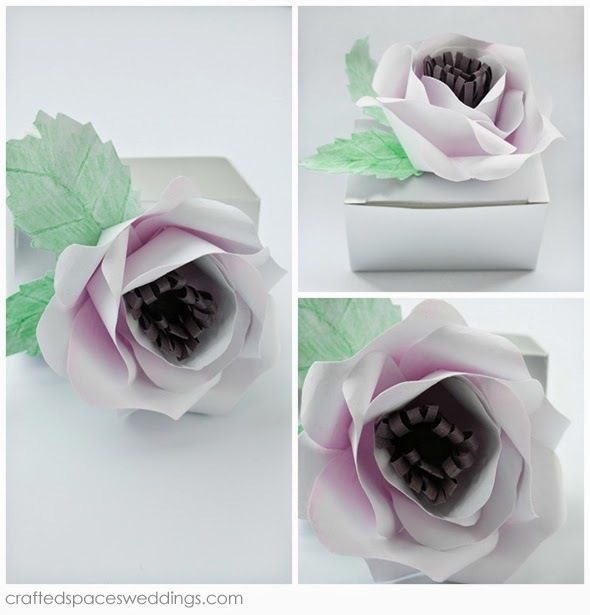 Here is a super cute idea for how you can dress up a truffle or cake box with a paper flower. We hope our little creation will inspire you! Paper flower links you will love!